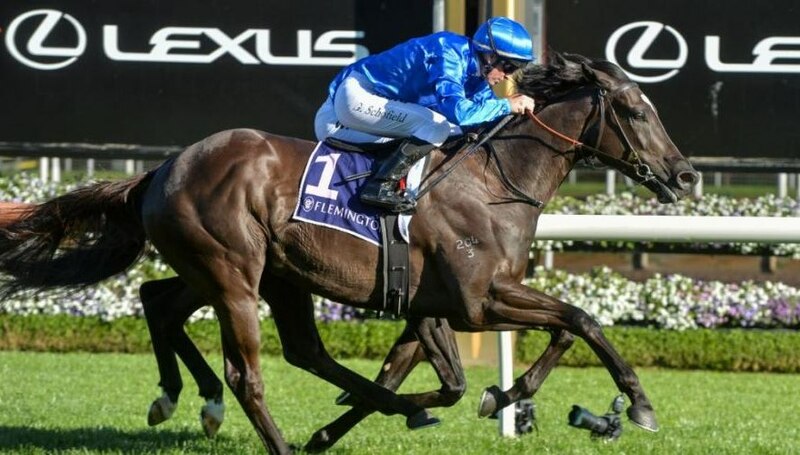 A tumultuous lead-up to the world’s richest turf race has paved the way for Godolphin sprinter Osborne Bulls to keep the excitement level at a peak when he runs in The Everest at Randwick on Saturday October 13. Osborne Bulls (Tommy Berry) came into the field as a replacement for his stablemate Home Of The Brave who was running a temperature at acceptance time and had to be withdrawn. There is no doubt that Home Of The Brave had the edge in experience, but Osborne Bulls has form, talent and youthful exuberance on his side. And according to trainer James Cummings, he will represent Godolphin’s Australian team to the best of his considerable ability. “To see the Godolphin colours go around in The Everest will be a huge thrill for the entire organisation,” Cummings said. As a son of the ill-fated Street Cry, Osborne Bulls also represents one of Godolphin and Darley’s greatest stallions in a race that shapes as the highlight so far of the Australian spring. Osborne Bulls has won eight of his 12 starts, the most significant of them his victory in the Listed Regal Roller Stakes at Caulfield when resuming in August. In his only run since, he finished fifth to Jungle Cat in the G1 Sir Rupert Clarke Stakes last month, having missed a vital lead-up. “I wanted him third up in the Rupert Clarke because he flies third up, but he missed a run and that wasn’t to be,” said Cummings. “But he’s third up here, and the way it’s unfolded there’s every reason to think he’ll run a personal best in the Everest. “Mind you, he’s going to need to produce a PB to compete against the best sprinters in the country at weight-for-age. 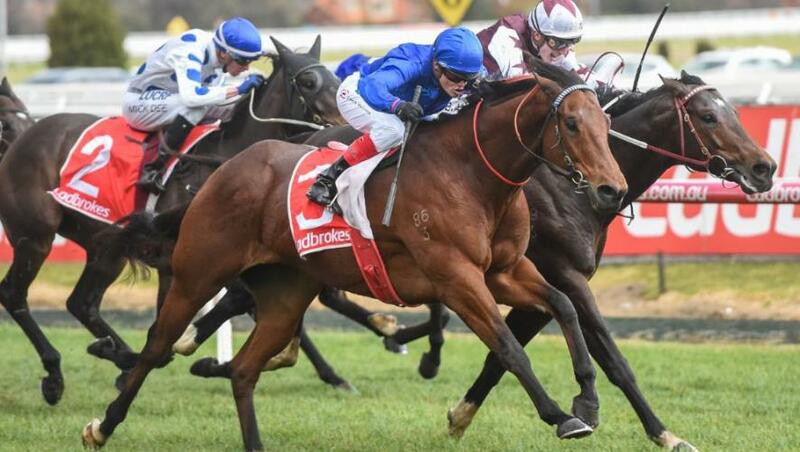 The Everest carries prizemoney of A$13 million and is a race largely funded by “slot” holders who have bought the right to race a horse of their choice in the race. Osborne Bulls is racing in the “slot” owned by the race organiser, the Australian Turf Club, under an agreement with Godolphin. Among his most prominent rivals are last year’s Everest winner Redzel and the runner-up Vega Magic while the G1 July Cup winner from Newmarket this year, US Navy Flag, is also high among the chances. Godolphin’s in-form stayer Avilius is set to continue his spring campaign in the G1 Cox Plate at Moonee Valley on Saturday October 27. Trainer James Cummings confirmed on Tuesday that Avilius would not follow the Caulfield Cup path to the G1 Melbourne Cup, choosing instead to line up at weight-for-age over the Valley’s 2040m course. Avilius made it four-from-four in Australia with a determined win in last weekend’s G3 Bart Cummings at Flemington that provided him with both an automatic Melbourne Cup start and provided confidence among his training team of his potential to run out 3200m. “He now has his first victory over a staying distance and under a lot of pressure he was able to prove he could still perform and show that turn of foot despite a genuine and tough pace throughout,” Cummings said. “We can now give the horse three weeks to the Cox Plate and if we’re lucky enough to gain a start in that race, then he’ll be perfect for the Melbourne Cup. Godolphin trainer Charlie Appleby hailed Hawkbill a “wonderful racehorse” after confirming his retirement from racing. Appleby told www.godolphin.com: “He was a wonderful racehorse, who will be remembered for bringing Moulton Paddocks to the international stage.